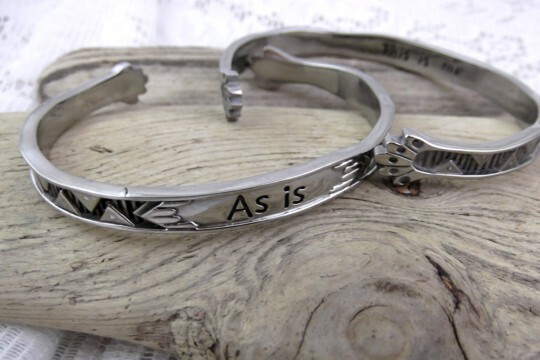 When you are delighted with yourself - just the way you are, then this is the bracelet for you. It makes a great gift for that friend of yours who is just perfect the way she is herself. This is a great way to tell her how much you admire her! This well made bracelet was created by designer Suzy Toronto, well known for her free spirit and light heart. She, just like you, is one of a kind! We're showing you two bracelets so that you might see the outside and inside.